. Daley weaves the tale of Kate Winslow, director of Beacon of Hope School, and the teens she helps, saved from human trafficking. Texas Ranger Wyatt Sheridan and Kate search for a missing youth who knows too much when Sheridan’s daughter is threatened and Kate is kidnapped. Like a quote on the back of the book says, “make sure you have plenty of time to read because you won’t want to put this one down.” I stayed up way too late to finish this book in one day myself, it was that good. Daley fills her tale with real life information regarding human trafficking which I appreciated. While I know this is a fictional tale, sadly many of the situations and stories in the book are all too real in our society. I recommend this fiction for women of all ages and mature teens. The subject matter is harsh, but Daley does not detail graphic scenes nor is inappropriate language used. Characters call upon God and seek His guidance through prayer and encourage one another as believers. 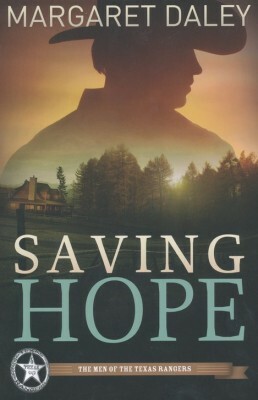 The only criticism I have of Saving Hope is the formatting was a bit off in the Kindle version, which I read. I look forward to reading more of Ms. Daley’s books in the future. by Margaret Daley. Published by Abingdon Press, the publishing arm of the United Methodist Church.